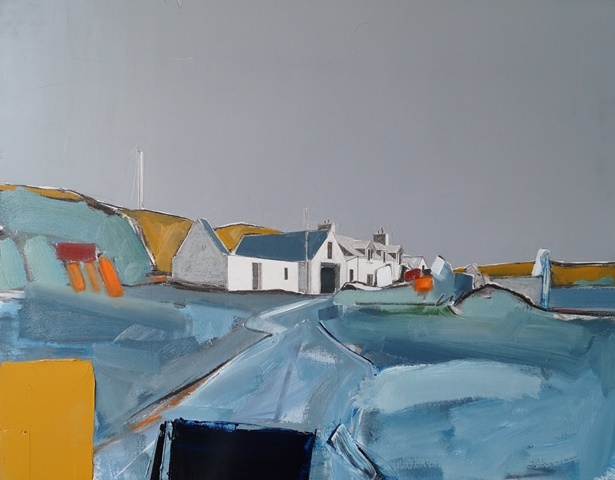 ‘Sam Cartman’s first solo show with Kilmorack Gallery ‘At the End of the Road’ presents a new body of work inspired by the landscapes of Scotland and Italy. Cartman finds inspiration by getting off the beaten track to ‘the end of the road’, where nature is reclaiming the landscape. Careful composition, an instinct for colour and a gutsy use of paint make for an optimistic reverence for both the hand of man and that of nature. His work has proved popular with collectors and critics in mixed shows. © 2019 Sam Cartman – Artist All Rights Reserved.